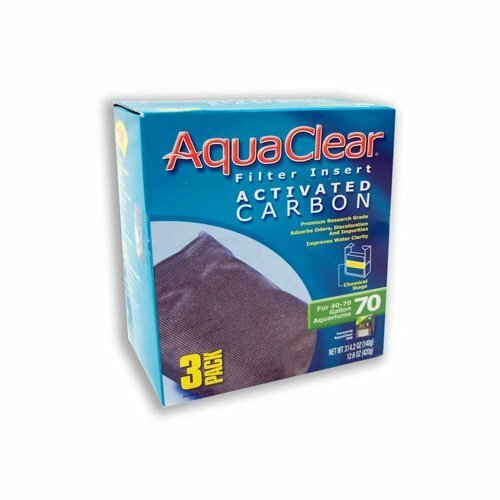 Activated Carbon Filter InsertPremium research grade.Adsorbs odors, discoloration, and impurities.Improves water clarity.Safe for fresh and saltwater use.AquaClear Activated Carbon Filter Insert contains 100% premium research grade carbon. Premium research grade carbon provides large amounts of surface area for adsorption of undesirable impurities. Use of the activated carbon filter insert will remove unwanted odors, discoloration, and impurities resulting in a crystal clear aquarium.The AquaClear CycleGuard System Preserves Beneficial Bacteria for a Stress Free EnvironmentProvides Optimal Mechanical, Chemical, and Biological FiltrationCycleGuard ensures that there is never a depletion of beneficial bacteria. Other filtration systems require you to replace the entire insert. The AquaClear system is different. Only one of the three inserts is changed at a time. 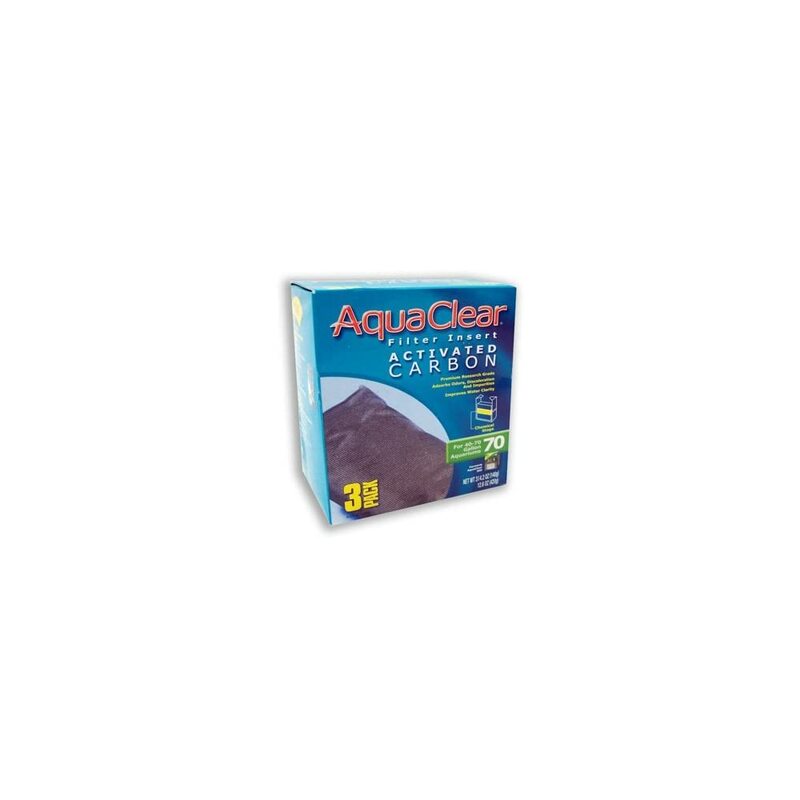 This ensures that significant amounts of beneficial bacteria always remain, resulting in a stress free environment.Foam and Ammonia Remover Inserts are sold separately.Formerly AquaClear 150. The first thing I will mention is that this product is a “20” version at Amazon, not a “70” version as shown on the box here. These packs are good for Aqua-Clear power filters up to 20 gallons. You can choose options up to 50 gallons but not 70. With that being said, great filter, great packs and they will do an awesome job at helping you keep a clean aquarium. You may be able to get them a little cheaper at your local fish store, but they are worth getting regardless.